Whether your wedding reception is in a hotel or a rundown industrial loft, your venue can be a customised kind of wonderful. Wherever you are holding the evening celebrations of your special day, you can easily revamp the space without a huge budget or a completely new space. These 20 tips and tricks from Monitor Lighting could be the added wow from your guests, and yourself. Pick and choose your favourites to make your day as memorable as it should be. Chandelier or hanging fairy lights can create an instant change of atmosphere and create a more intimate and romantic feeling, even more so if the ceilings are higher up, like a loft. 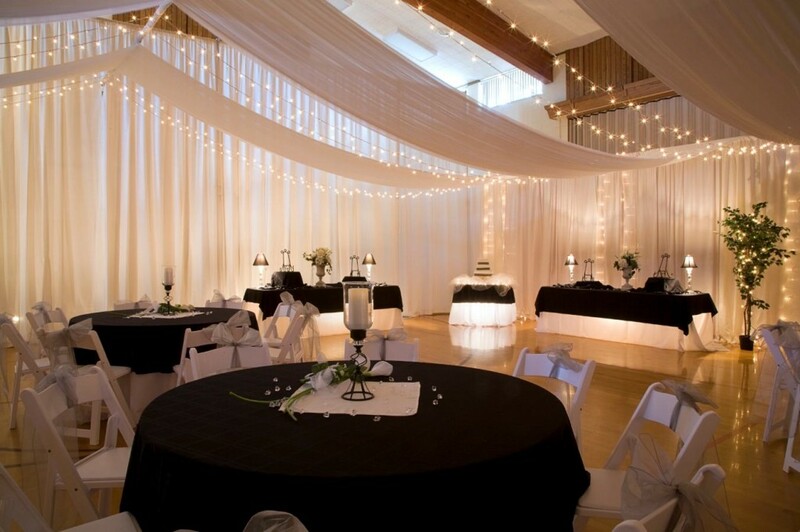 A fairy light canopy is sure to give that extra touch of magic in the air. 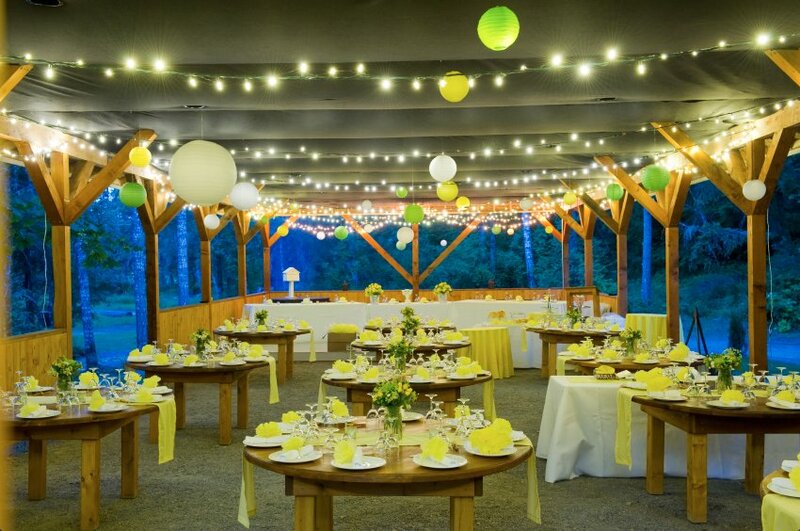 Festoon lighting is similar to bistro lights can transform your venues and your photos and work well with any type of venue, tying in with every theme or look. 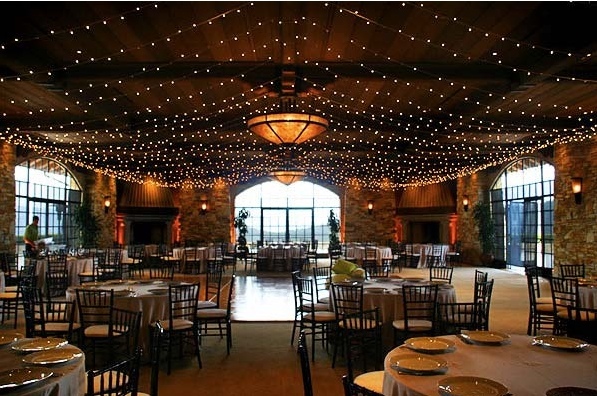 Festoon lights can be draped, structured in lines or decorated how you want! They can add a vintage and rustic feeling to an evening, creating instant style. Whether you work with a florist for you wedding or not, by bringing in a spot of nature including wrapping items with vinery or plants, you are sure to make the room stand out. It will not only lift the space but make everything seem fresh and light. Once the room is lit up, try using smaller lights or uplighting to accentuate some smaller details in the room. This could be anything from a sweetheart table or maybe even the cake stands or guest book. It’s not just lights that can be draped, you can make use of cloth and other varied materials too! Combine the two in a creative way and you can create a whole other world. Pick a fabric which matches your wedding colours, or even white for a clean crisp feel. While sat on the top table, the background can sometimes seem a bit dull. This is where a star cloth can come in to create that enchanting atmosphere. Simply get the right colour material for a background and a star cloth will not only make that sparkle, but the whole evening. Whatever the space, large or small, make sure you cleverly divide this up . Consider straying away from the conventional round table and dance floor division, and maybe instead opt for a lounge area, a cocktail zone and a food area. Everyone loves a bit of sparkle, especially on their wedding day. So why not give your blank canvas a fabulous makeover with some crystal curtains, dangling centrepieces or sequin table runners. Once your lighting is added to the mix, you will have sparkle and shine to last the whole evening. The saying “there’s strength in numbers” is certainly true when it comes to wedding décor. Make use of repetition for decoration, any lanterns, motifs or centre pieces. This has a huge visual impact, and is much simpler! Be sure to add a few signature group décor displays around your reception. This can bring serious personality. An example of this could be to surround your guest book by floral arrangements, or make use of a vintage cabinet to display family photos and props. 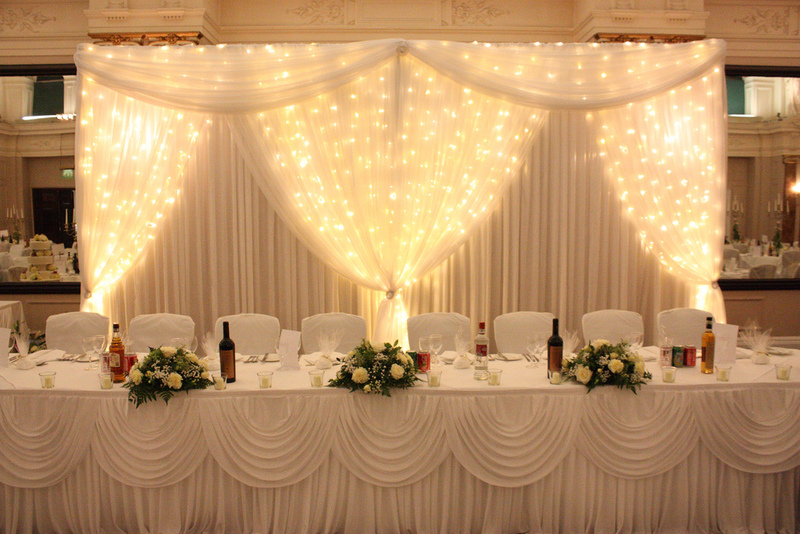 Keep checking in for the second part of our top 20 tips, but in the meantime if you would like any further information about our wedding lighting services, simply get in touch with us. We would love to be the reason your wedding reason is lit up perfectly. We look forward to hearing from you.